Is Progressive Marathon trying to cheat you out of a fair injury settlement? How do you know if Progressive Marathon Insurance Company is trying to cheat you out of full and fair compensation after a car crash? What our auto accident attorneys have seen time and again is Progressive Marathon deliberately attempting to take advantage of people. This is because they are aggressively attempting to contact you as soon as possible after a car crash, hoping you have not been fully informed of your legal rights by an experienced auto accident attorney, and this is also at a time when most people are worried about how they will pay bills or get by if they are too hurt to return to work. In short, it’s often when people are at their most vulnerable. And that is when they will offer to you — sometimes completely out of the blue — a very low settlement offer. Accept this, and you could very well lose out on a substantial legal recovery for pain and suffering compensation. How do I know this is what Progressive Marathon is up to? The auto insurer has tried this on more than one of our Michigan Auto Law clients. I also know because this is not the first time Progressive Marathon has tried this. To be fair, other insurers — like Citizens — have also tried the “full and final” trick to dupe other unsuspecting motor vehicle accident victims into settling what may be very serious auto accident injury cases for very low amounts. They’re preying on auto accident victims when they’re at their most vulnerable: their world has been turned upside-down, they’re hurt and they’re scared. Most people who are worried about how they will pay medical bills and the money they are losing from not being able to return to work are not aware of the full extent to which auto No-Fault PIP benefits will cover not only medical care expenses, but also lost wages and replacement services. So, in the confusion and turmoil after a motor vehicle accident, car accident victims who do not know the law and who have not been informed about their legal rights by an experienced auto accident lawyer may give in to the temptation presented by the insurer — mistakenly believing they “really need” the money to help them get by. The insurers are deliberately trying to contact these people while they are still unrepresented by an attorney, because they also know that a person who is represented by an attorney can settle the same car crash case for up to four times more than an unrepresented person, according to the insurance industry’s own research. The significance and importance of this last point cannot be overstated. Not only is there scientific research by the insurance industry itself, showing that recoveries by auto accident victims who are represented by attorneys are nearly four times higher than recoveries by victims who don’t have lawyers. But we’ve seen this phenomenon first-hand. 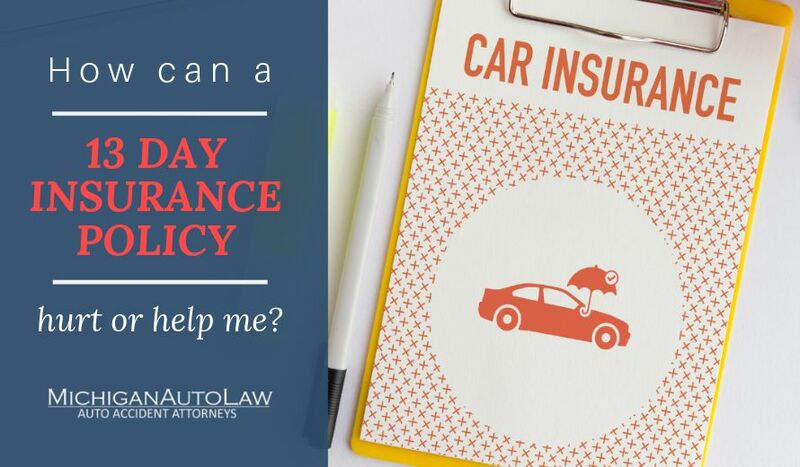 In one of our cases, Esurance tried to settle an unrepresented car crash victim’s pain and suffering claim against the insurer’s at-fault driver for $500 — only to eventually settle the case for $20,000 after one of Michigan Auto Law’s attorneys came to the victim’s aid. Why can Progressive Marathon keep trying to cheat car crash victims? No meaningful Consumer Protection Act. No prohibition of such scams as the unlawful and unauthorized practice of law. No fraud watchdog to go after unscrupulous, overreaching insurers.